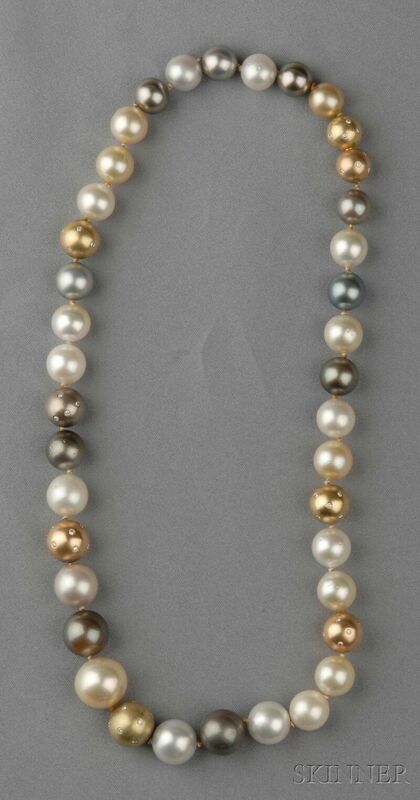 Multicolored Tahitian Pearl and Diamond Necklace, composed of thirty-one pearls graduating in size from approx. 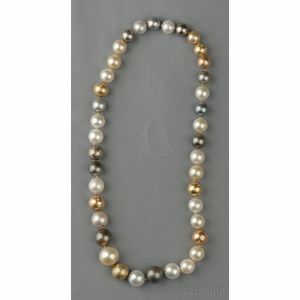 9.80 to 14.60 mm, interspersed with 18kt rose, yellow, and white gold beads, each set with full-cut diamond melee accents, lg. 18 1/2 in.